Join us in our discussions of female empowerment, leadership and more! We believe in gender equality, career advancement and a world where women are both our mothers and our leaders. At Brain Snacks Co, we tackle these important issues in our events and workshops, and provide opportunities for women to launch and accelerate their careers. Welcome to the revolution. Join us now! Stay tuned for networking and development events in 2018 and 2019, like our monthly Lean in With Donna event. Attend one of our career or lifestyle workshops and give yourself an edge as you take on major personal and professional challenges. We know you're going to kill it. Invest in yourself with one-on-one career coaching with Donna Crooks, Founder and Chief of Brain Snacks Co. The revolution is female, join us! This workshop is about the would-be, will-be and been-there-done-that moms who are looking for insight on how to cope with the life-altering transition to motherhood. If you're ready to really kill it, the workshop will also share insights on how moms can use the early years of motherhood to create, pivot or accelerate their careers. Our 2018 workshop series is wrapped up. Stay tuned for our Winter 2019 program. For starters, there is always artful food by Alice Nicholls, Social Media Influencer and chef behind Plant Tribe. You will start the workshop with a keynote from Donna Crooks, Founder and Chief of Brain Snacks Co. She candidly over-shares her hilarious and often career-crushing path with so many twists and turns along the way. This will set the stage for some group discussions and personal reflection. Then you will have the treat of listening in on a panel of moms with expertise in nutrition, fitness, mental health, emotional wellness, entrepreneurship, leadership, career coaching, beauty, motherhood, labour and birth. You can ask these moms anything (really, anything)! And to top it off, there are amazing door prizes, including personal training sessions, beauty treatments and a free 30-minute massage. And don't forget the great swag bags. Calling on all women considering taking the baby plunge and new mothers! Maybe you are planning a pregnancy and want to understand how this will impact your version of you and what you are building in your life. Maybe you are pregnant or on maternity leave, looking for support on how to transition from employee to mommy and from mommy to employee. Or perhaps you are back in the trenches, and realizing that the mommy and employee versions of you are in a battle to the death. This workshop is for all of you beautiful people. Come as you are, expecting or not, babies or none. Wherever you find yourself in your life, we are here for you. An event for women entering beastmode. This is a way of life, tapping into your super human strength. Beastmode puts you into the most dedicated, focused, and ferocious/tenacious lifestyle that you can achieve. Women have never been more challenged or more poised to close the gender gap and achieve their own vision of success. At Super Charge, you will learn about creating a personal foundation to withstand the challenges you are facing in work and life. We can help you with creating stamina and resiliency through mental toughness, self awareness, nutrition, sleep, movement, hormonal balance, human connection and clear purpose. Attend our sumptuous brunch and keynote presentation on mental preparation from Donna Crooks, Founder and CEO of Brain Snacks Co. Stick around for a workshop on achieving overall wellness so that you can set your pace and succeed in your goals. The workshop will be co-led by Donna Crooks and personal trainer and life coach Laurie Johnson, Owner and Director of No Limits Fit Life. Our brunch and refreshments will be presented by vegan blogger and social media influencer, Alice Nicholls from Plant Tribe. At Brain Snacks Co, we are creating an ecosystem for women to close the gender gap while finding fulfillment in their lives. 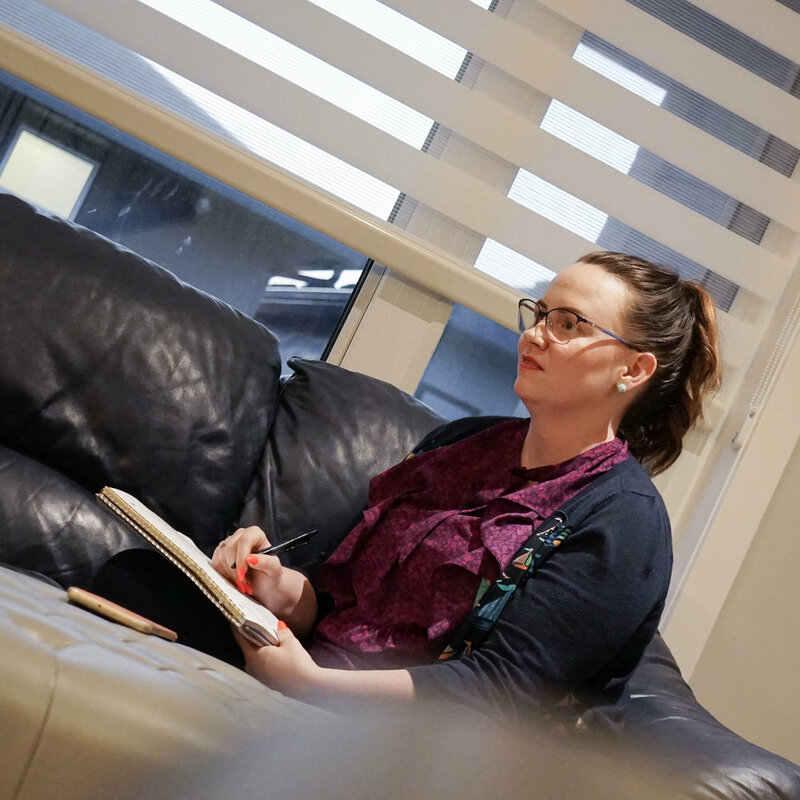 In April 2019, we will open a coffee shop, co-work space and drop-in daycare in east Regina to support women in focusing on their goals while raising their families. Our new space will make it even easier for us to offer professional development opportunities to women. Many moms have side hustles to get the bills paid. Learn the fundamentals of starting your own side business and get feedback on your ideas. 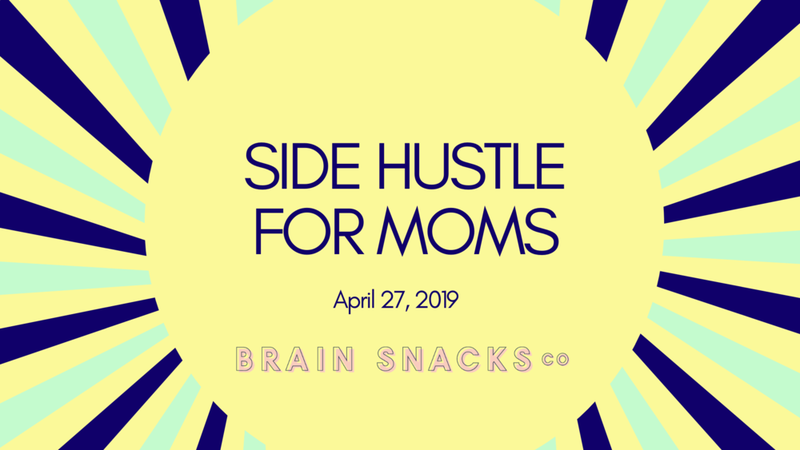 Learn from moms with profitable side hustles. Why rely on traditional sources of income? Diversify where you make your money and create more financial stability. Pay for those children's activities. Earn some extra money to get through the 2019 holiday season. This workshop will take you through idea generation, measuring the value proposition of your idea, identifying your market, the steps to starting the business, raising capital and marketing. As part of the workshop, you'll have access to Brain Snacks Co Founder & CEO Donna Crooks and social marketing expert and social media influencer Alice Nicholls. We'll help you get started. Get the real deal with social influencer Alice Nicholls. Accelerate your social skills by learning the basics from a social influencer with more than 14,000 followers on Instagram. Alice Nicholls is the Vice President of Marketing and Operations at Brain Snacks Co, and the talent behind popular vegan flood blog, Plant Tribe. With more than a decade of experience in online design and delivery and over 14,000 followers on Plant Tribe's Instagram account, Ali knows how to have an impact on social. In this course for beginners, she will teach you the basics of Instagram, Facebook and Twitter, and also give you personalized and actionable social recommendations to improve your current online presence. Professional women need winning relationships at home and at work in order to be successful in growing their careers. Relationships are rarely neutral. Most often they are adding or taking away from your bucket of resources. Too often, we become entangled in obligatory and unsatisfactory relationships that weigh us down and prevent us from achieving our potential and our own personal happiness. This event will be a forum for identifying relationship assets and deficits so that you can invest your time and energy in ways that will be fulfilling for you. With the complexity of human intimacy and relationships, there will be no easy answers. But we can all be mindful to create joy and meaning in our lives by surrounding ourselves with the ones we love and those who will bring opportunity into our lives. Lean In: Women, work and the will to lead was written by Sheryl Sandberg and published in 2013, sparking a global movement for women to #leanintogether. What is a Lean in Circle? Lean In Circles are small groups who meet regularly to learn and grow together, and they’re changing lives. Women are asking for more, stepping outside their comfort zones, and leaning in. To learn more, visit leanincircles.org. BUT AREN’t WE ALREADY LEANING IN? YES! Now leaning in means asking for change to address the cognitive bias and other systemic challenges that affect the mentoring and hiring decisions that keep women out of leadership positions. What is Lean In with Donna? Lean In with Donna is a Circle in Regina, Saskatchewan, Canada. This is a monthly-ish gathering for women who want to be themselves at home, at work and out in the world, and want to support other women in success. No judgments. No apologies. Come as you are. The Circle will discuss life and work challenges and opportunities, politics, feminism and kindness. Members will have the opportunity to eat, drink, laugh and cry together and restore energy and courage for taking on the world together.